Some days Dr. Zhaohong (Tina) Qin has to remind herself to leave the lab and go home. She becomes so absorbed in watching neurons fire that she loses track of time. Dr. Qin was no stranger to research when she immigrated to Canada 11 years ago. In China she worked in the pharmaceutical industry, discovering new drugs and finding different ways to diagnose diseases. These jobs were scarce when she arrived in Canada, so she started anew with a Masters of Biology at the University of Ottawa. While examining the sensors fish use to detect oxygen in the water, she learned the techniques she uses today to study how the brain works. During her PhD in Dr. Hsiao-Huei Chen�s lab, Dr. Qin made a surprising discovery. She found that a drug called trodusquemine, which controls weight gain, could also relieve anxiety in mice. This meant that somehow the brain pathways for anxiety and obesity were linked. Right away, Dr. Qin wanted to find out why. After many additional tests and experiments, she found the reason: an enzyme called PTP1B. When it is overactive, this enzyme helps cause both anxiety and obesity. The drug trodusquemine lets the brain fix itself by bringing the levels of PTP1B back to normal. �It�s our hope that this exciting finding can move to the clinic, and that this drug can be used to fight two diseases at once,� said Dr. Qin. But Dr. Qin isn�t stopping there. She�s currently investigating whether this drug can also treat other mental health conditions that involve overactive PTB1B, such as Alzheimer�s disease and schizophrenia. 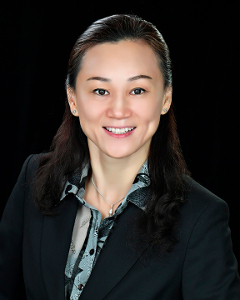 Praised by her colleagues for her strength, drive, independence and determination, Dr. Qin has published 12 research articles, many in high-impact journals such as Neuron and Journal of Neuroscience. Despite her successes, she will be the first to admit that a career in neuroscience can also be challenging.